Brilliant, flexible and powerful clipping with advanced sensor technology. 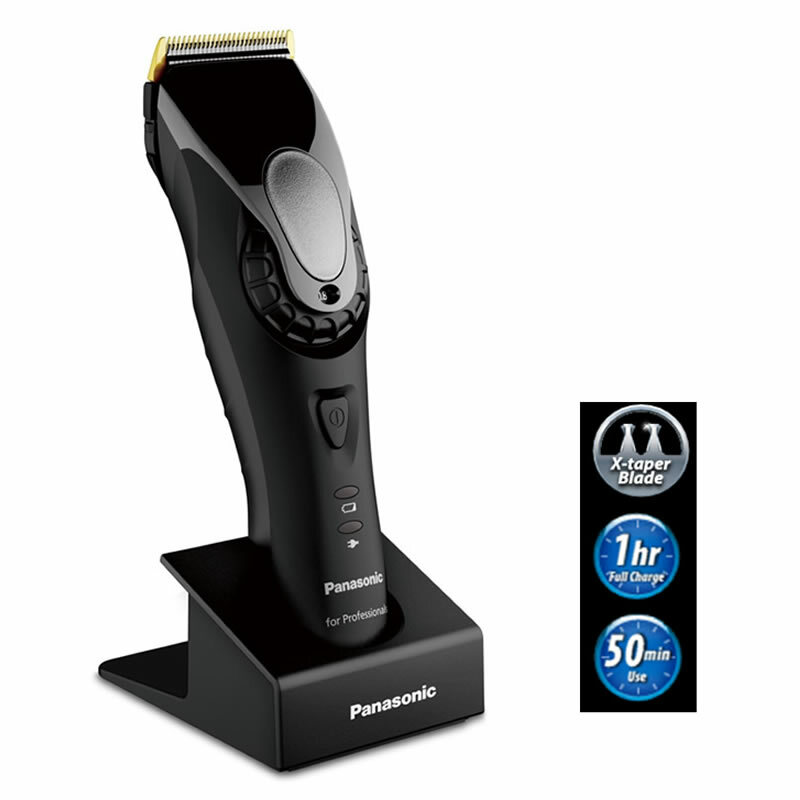 The Panasonic GP80 Clipper features Japanese X-Taper tempered blades and a superior linear motor. The long-lasting Litium-Ion battery will produce 50 minutes of continuous, maximum performance from a single hour's charge. The adjustable dial control quickly changes cutting lengths from 0.8 mm to 2 mm without comb attachments. By using the 3 comb attachments, 6 further cutting lengths are available: 3 mm (no.1), 4 mm (no.1.5), 6 mm (no.2), 9 mm (no.3), 12 mm (no.4) and 15 mm (no.5). The X-Taper Blades themselves feature a Diamond-Like Carbon coating for twice the durability of stainless steel. This titanium coating means a long-lasting sharp edge. The advanced sensor technology detects the density of hair and automatically controls the speed of the blade, meaning you get consistent performance irrespective of hair-type or whether hair is wet or dry. Also, when the battery starts to run down, a red light begins to flash when there are 5 minutes of performance remaining. This gives plenty of time to plug the cord in and continue. The slim, lightweight design means easy, smooth and clean cutting is on-hand for all stylists and barbers! £132.60 (inc. VAT) Why no VAT? We're a trade wholesaler and quote our prices without VAT to help our VAT-registered customers understand the true cost of a purchase. The ideal tool for blending, tapering, flat-top cutting and all clipper-over-comb techniques.